Use the Types View to locate functions, tasks, fields, parameters, etc. declared at library or package level. 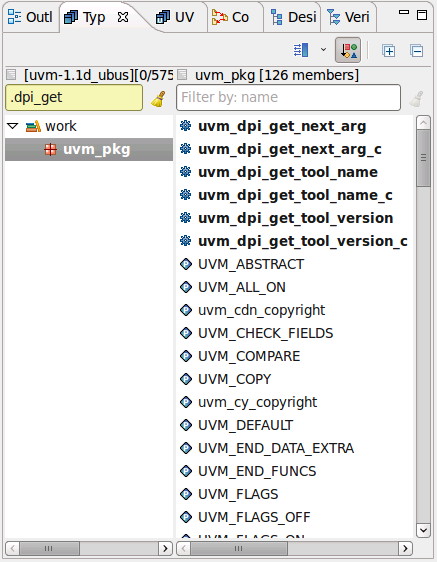 For example, type .dpi_get in the Types View Quick Search to locate dpi functions located inside the uvm_pkg package. The libraries or packages that contain the declarations are bolded. The matching members are also bolded and promoted to the top of the members pane.